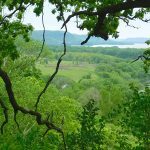 During each session of the Minnesota Legislature we track key bills affecting parks and trails. Updates on these key bills are posted here. The 2019 Legislative Session began on January 5 and must be completed by May 20. We will work to keep this bill tracker updated regularly with the bills that we are watching at the state capitol. 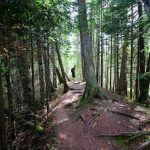 Appropriates money from parks and trails fund created by the Legacy Amendment. Appropriates funds from the Environment and Natural Resources Trust Fund. Appropriates money from the state’s general fund. Bonding bill–appropriates funds for capital improvement projects. A pilot project to allow ATVs in Hayes Lake and Lake Vermilion-Soudan Underground Mine State Park campgrounds via access routes to be determined by DNR Commissioner. HF 48: All-terrain vehicles in state campgrounds allowed. 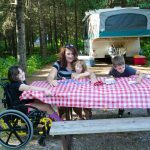 SF 1568: State campgrounds all-terrain vehicle use authorization. Directs DNR Commissioner to re-designate an area south of Hwy 169 in Lake Vermilion-Soudan Underground Mine State Park from a state park to a state recreation area to allow an ATV campground. HF 251: Lake Vermilion-Soudan Underground Mine State Park management modified. 3/20/19 – Bill heard in committee: Environment and Natural Resources Finance Division. 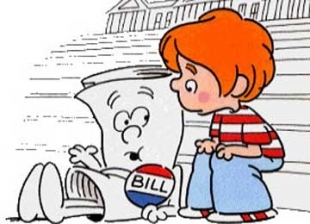 Actions: Bill laid over for possible inclusion in an omnibus bill. 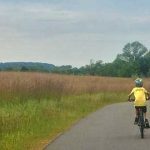 Establishes a new grant program designed to assist in connecting children with outdoors programming. HF133 – No child left inside grant program established, and money appropriated. 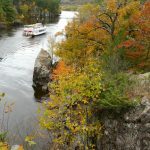 Modifies requirements for conveying certain state land; Adds land to the statutory boundaries of Glendalough State Park; Removes land from the statutory boundaries of St. Croix State Park. HF 1586: State land conveyance requirements modified, land added to and deleted from state parks, and sale of surplus state land authorized. Prohibits use of money in ENRTF for payment of debt service on bonds (as was done in last year’s bonding bill). Ruud , Abeler , Rest , Housley , Anderson, P.
1/17/19 – Authors added Housley; Anderson, P.
Increases the number of days for free admission to State Parks on Open House Days to include Martin Luther King Jr. Day, Memorial Day, Independence Day, Labor Day, Veterans Day, Christmas Eve, or New Year’s Eve. 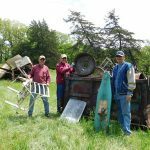 HF 2260 – State Park Open House Days number expanded. 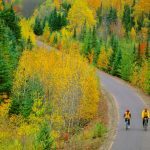 Establishes and requires a set fee for use of a bicycle on Minnesota State Trails. 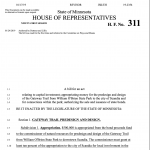 HF 1672 – Bicycle pass for state trails established, fee established, and money appropriated. 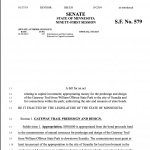 SF 1267 – Bicycle pass for state trails establishment. 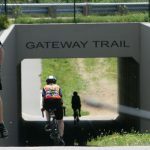 Appropriates $500,000 for the predesign and design of the Gateway Trail from William O’Brien State Park to the City of Scandia. HF 311: Scandia; Gateway Trail from William O’Brien State Park to Scandia predesign and design funding provided, bonds issued, and money appropriated. 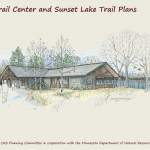 Appropriates $8,640,00 in FY 2020 and $9,372,000 in FY 2021 for Parks and Trails Legacy grants recommended by the Greater MN Regional Parks and Trails Commission. 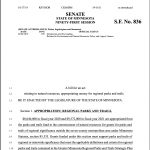 HF 653: Greater Minnesota regional parks and trails funding provided, and money appropriated. 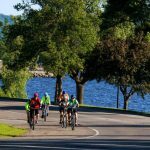 Appropriates $3,580,000 for multi-use trail segments around White Bear Lake. SF 818: White Bear Lake multiuse trail segments bond issue and appropriation. 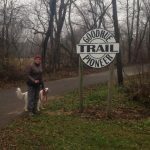 Appropriates $1 million from the General Fund for matching grants for local parks and outdoor recreation areas; and $1 million for matching grants for local trail connections. HF 654: Local recreation grants funding provided, and money appropriated. Appropriates $450,000 in FY2020 and $450,000 in FY2021 from the General Fund for Greater MN Regional Parks and Trails Commission operations. HF 868: Greater Minnesota Regional Parks and Trails Commission funding provided, and money appropriated. Appropriates $5,000,000 in bonding funds to build the trail from the city of Preston to Carimona. 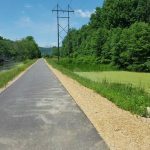 HF 952: Root River State Trail funding provided, bonds issued, and money appropriated. Appropriates $800,000 in bonding funds to build a trail bridge of Albert Lea Lake. HF 1626: Nonmotorized state trail rehabilitation and maintenance funding provided, and money appropriated. HF 1655: Department of Natural Resources enhanced efforts to ensure staff members of communities traditionally underrepresented funding provided, and money appropriated. 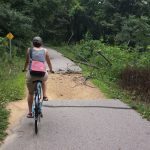 Appropriates $750,000 to the city of Faribault for development of the Northern Links Trail connecting to the Sakatah Singing Hills State Trail. HF 2172 – Northern Links Trail funding provided, bonds issued, and money appropriated. 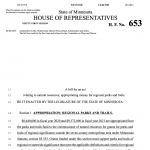 SF 2160 – Northern Links Trail bond issue and appropriation. Appropriates $10 million to the Metropolitan Council for construction and acquisition projects for parks and trails per their policy plan. HF 2163 – Metropolitan Council regional park and open-space land acquisition and improvement funding provided, bonds issued, and money appropriated. 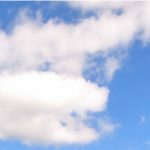 03/21/19 – Heard in Capital Investment Division. 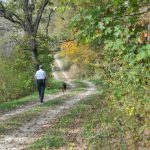 Appropriates $3 million for Cannon Valley Trail access and storm water infrastructure renovation and improvement. HF 2410 – Cannon Valley Trail access and storm water infrastructure renovation and improvement funding provided, bonds issued, and money appropriated. 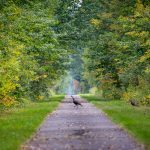 Appropriates $2.5 million for acquisition and development of the trail in Northfield, Minn.
HF 2511 – Northfield; Mill Towns State Trail connection development funding provided, bonds issued, and money appropriated. 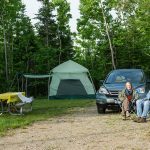 Appropriates $9.5 million for rehabilitating the mine shaft and developing an OHV campground in the park. 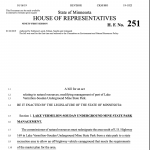 HF 1772 – Lake Vermilion-Soudan Underground Mine State Park development funding provided, and money appropriated. 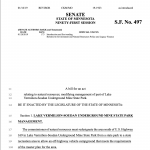 SF 1770 – Lake Vermilion-Soudan Underground Mine state park appropriation. 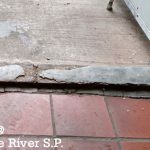 Click or hover over image to view more details. Improve user safety by constructing a tunnel for the trail to cross under Hadley Ave, which is challenging to cross because the street exceeds 8,000 vehicles per day. 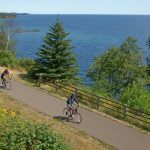 Develop a 3.5-mile segment of the Mesabi Trail from County Road 88 into Ely, Minn. Build ~3/4-mile trail segment along Red Wing’s riverfront from Barn Bluff to Colvill Park. 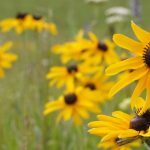 Restore 255 acres of forested native plant communities in several state parks. Click or hover over box to view more details. There were a few disappointments in the 2017 session, but overall parks and trails fared better than had been feared a few weeks before the end of session. A big thank you to everyone who reached out to their legislators and gave parks and trails a voice. The following bills were passed by the legislature and signed into law by Gov. Dayton during the 2017 session. The following bills were passed by the legislature and signed into law by Gov. Dayton during the 2016 session. 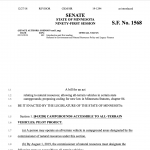 The following bills were drafted and introduced into the legislature, but for various reasons they were either not passed by the Minnesota Legislature or not signed into law by the Governor. They could attempt to be revived in subsequent years. The following bills were passed by the legislature and signed into law by Gov. Dayton during the 2015 session.